A career with horses like no other. Inspire and inform potential racing staff about the invaluable role of racing grooms, and how to get involved. Made possible through funding from The Racing Foundation and the National Trainers Federation. The website is a real resource for all; racing staff, stakeholders and employers and can be utilised to complement the existing careers advice services. It is vital that the industry seeks to attract, engage with, mentor, inspire and care for the racing grooms, on which 14,000 horses (source: British Horseracing Authority) in training in Britain, rely on. The site serves as both an information service and signpost; to direct users to training providers, health and wellbeing support, job boards, and the relevant industry bodies. RacingGroom.com also serves to inspire newcomers into the industry, dispelling myths about the roles of racing staff, highlighting the real perks and benefits, and career progression opportunities. RacingGroom.com ensures that grooms have a central resource to access all the information they need to embark on, or develop their career. Newcomers to the industry, will find a resource where they cannot not only go to learn about the different routes of entry into the career, the training levels and what to expect in the role, but at a much more accessible level too. For example, what staff facilities are offered at each racecourse and the ability to locate any trainer in Britain and their contact details. 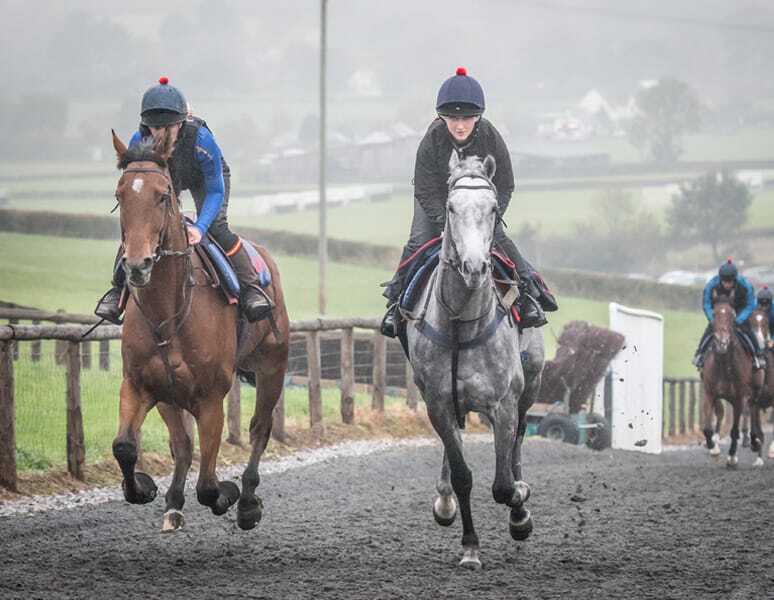 There are two elements to the website, a front end with all the information on how to become a groom and to inspire anyone exploring racing groom as a career choice. Then there is a community hub, which is free to join. The hub is really dedicated to those serious about working as a groom, or are already doing so. It highlights exclusive rewards, access to trainer and racecourse information, health and wellbeing support, further information on training options and providers, and even has a unique CV and cover letter building tool. As part of the RacingGroom.com launch, the NTF worked in collaboration with Careers in Racing to recreate the Welcome Pack. Traditionally, this was a leaflet given to staff at the start of their racing groom career, and has now been turned into an engaging and informative Welcome to Racing video presented by the hugely popular, Mattie Batchelor. This video can now be used by Trainers and Secretaries nationwide for every new staff induction. The vision of the website and community hub encompasses a vision for a much wider cultural shift in stable staff attitudes and job satisfaction, to not only feel value from employers, but seeing real worth in their own contribution to the industry, and importantly, how to inspire their peers to feel the same. In addition to this service and resource for racing grooms across the country, the site is going to be able to deliver key insight, back into the industry. Insight on recruitment, retention, staff satisfaction and wider demographics. This information will be invaluable to how the industry evolves and how it supports its workforce of the future. Connect with us on Facebook, Instagram and Twitter, or head to the website racinggroom.com. Sign up to the hub to access everything you need to know about embarking on, or getting the most out of your career, a career with horses, like no other. The National Trainers Federation supports, informs and represents racehorse trainers in Britain.